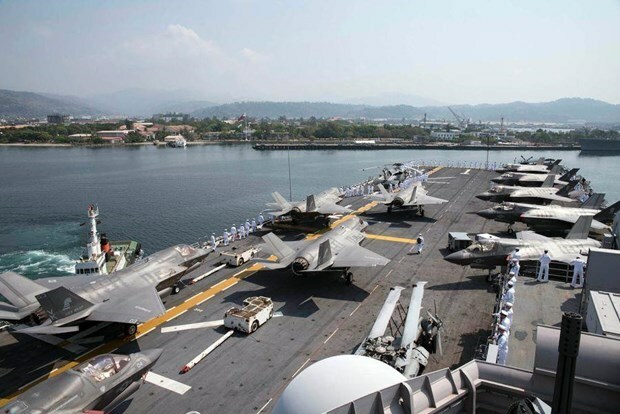 Hanoi (VNA) – The Philippines and the US on April 1 begun their large-scale annual military exercise, including a drill on part of Luzon island. The 12-day exercise, known as Balikatan (Shoulder-to-Shoulder), brings together nearly 8,000 Philippine and US troops, along with soldiers from Australia and observers from seven other countries. Philippines' Lieut. Gen. Gilbert Gapay, co-director of the joint military exercise, said this year’s Balikatan will focus on addressing traditional and non-traditional security concern. In the next two weeks, the Philippine and US forces will planning and simulation training, operational training and civic activities. Brig. Gen. Chris McPhillips, exercise director for the US side, said among the warships deployed in the exercise are F-35B stealth fighters.